The international medical humanitarian organisation Médecins Sans Frontières / Doctors Without Borders (MSF) has launched an emergency response to the Ebola outbreak in southern Guinea. Twenty-four doctors, nurses, logisticians and experts in hygiene and sanitation are already in country, while additional staff will strengthen the team in the coming days. 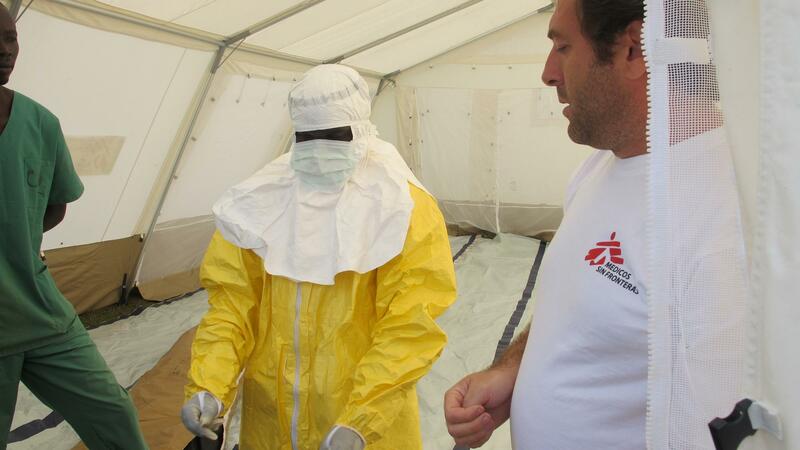 In collaboration with the Ministry of Health, MSF has set up an isolation unit for suspected cases in Guéckédou, and is currently doing the same Macenta, two towns in the region of Nzérékoré, south of the country. The organization is also actively searching for people who may have been infected through contact with already identified patients, in collaboration with the local community. Currently, MSF has dispatched approximately 33 tons of material, via two charter planes leaving from Belgium and France to Guinea. The cargo includes medicines, medical equipment and the necessary logistics for patient isolation, sanitation and the protection of the teams. As of today, 49 suspected cases have been registered by the Ministry of Health with 29 deaths. Six cases have been confirmed. Ebola is a rare but severe and often fatal disease that spreads rapidly through direct contact with infected people or animals. It can be transmitted by blood and body fluids. Médecins Sans Frontières has been present in Guinea since 2001, running HIV/AIDS projects in Conakry and malaria projects in Guéckédou. In recent years, MSF has responded to cholera and meningitis epidemics in the country.